What is modern calligraphy? How is it different from traditional calligraphy and handlettering? This class is beginner-friendly; no experience necessary! We will have all the supplies and materials ready for you. During in class exercises you will create a name card, several greeting cards for friends and family, and fun envelope art. You will also receive a brush marker and dip pen (with nib!) for you to continue practicing at home. And in case you are left handed, lefties are welcome to attend class! 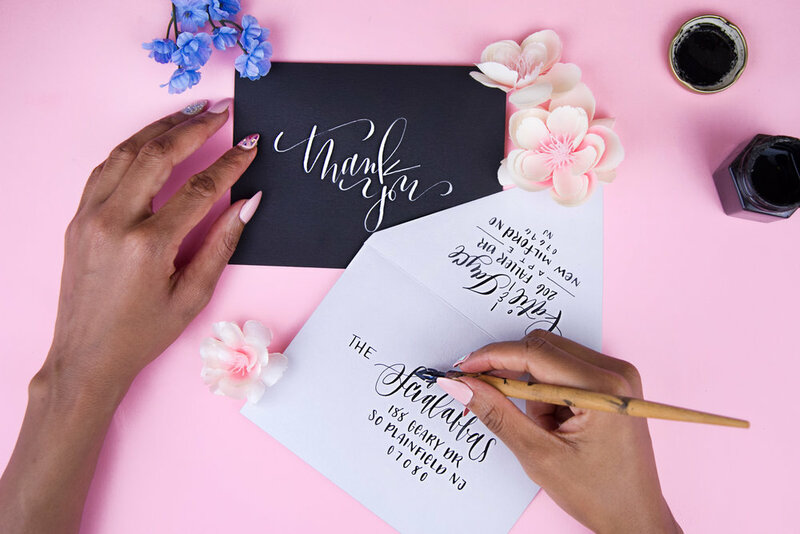 Danielle Rothman is a modern calligrapher who builds community through art and instruction. She has a passion for teaching calligraphy and has helped more than 300 students write beautifully! See more of her designs on her website at Rothbyrns Creative and Instagram.